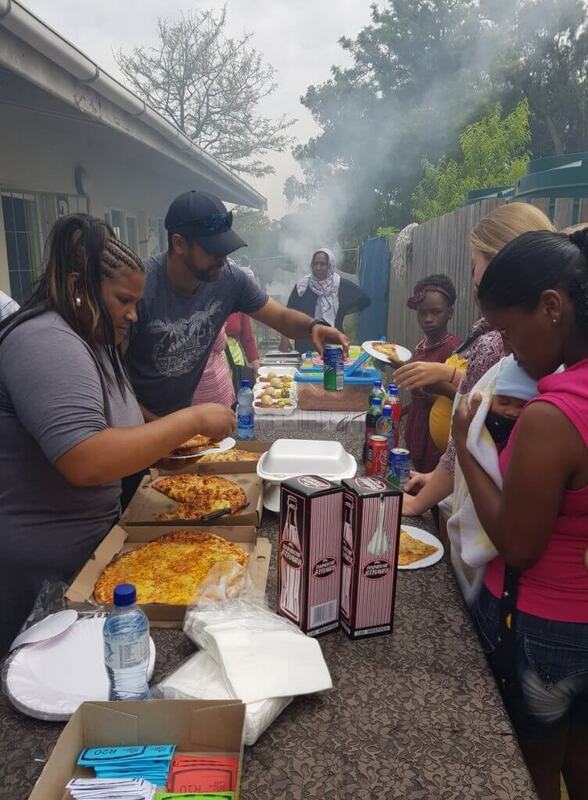 Scott Bader colleagues are given the opportunity to take an additional one day’s leave to use for volunteering, and as today is International Volunteer Day we thought we’d share with you how one colleague recently spent his volunteering day. 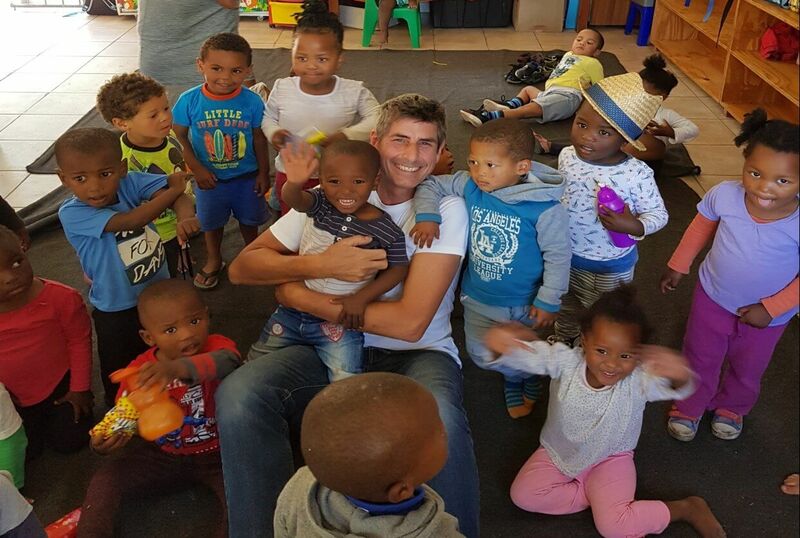 Patrick O’Shea based in South Africa tells us about how he used his volunteering day at the Philippi Children’s Centre (PCC) in Cape Town. The PCC is centrally located in the farmlands of Cape Town which provide a substantial amount of the city’s fruit and vegetables. It is a very rural community and as such relies heavily on a manual labour force. Every day many hundreds of people leave their homes to work side by side in the fields. It’s a tough life admittedly and can be challenging especially when families have children. This is where the PCC comes in. 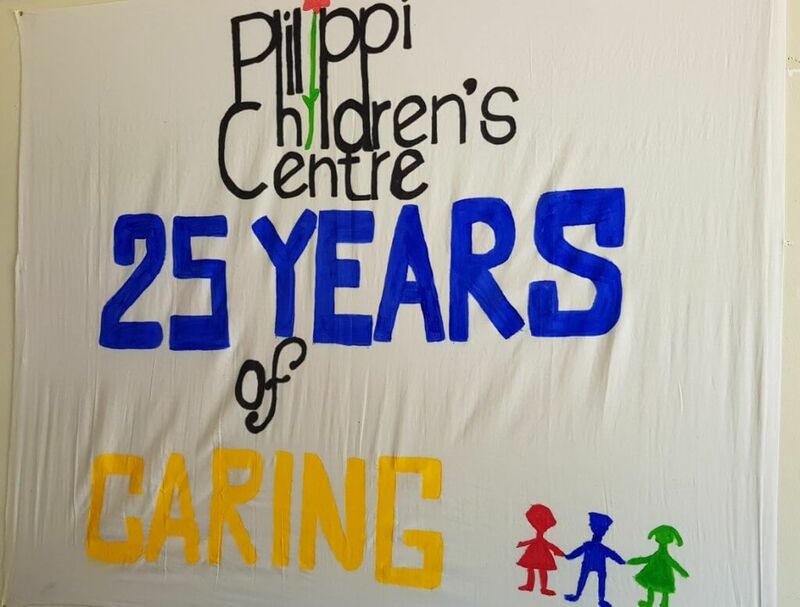 It was set up over 25 years ago by a group of dedicated volunteers who wished to support the working community by giving the children a safe and educational environment whilst the parents were at work. It has evolved over the years to become not only a crèche but also for schooling up to 6 years of age. Each day the centre’s one and only bus and its dedicated driver Basil, travel to remote townships to collect the pupils this can involve many trips as over 200 children attend the centre every single working day. Each and every one of them has a warm meal cooked for them by the canteen ladies which is no mean feat for so many hungry mouths and tummies! The centre is divided into 10 classrooms from the babies upwards with volunteer staff carrying out reading, writing, singing and other interactive activities. This happens every day. 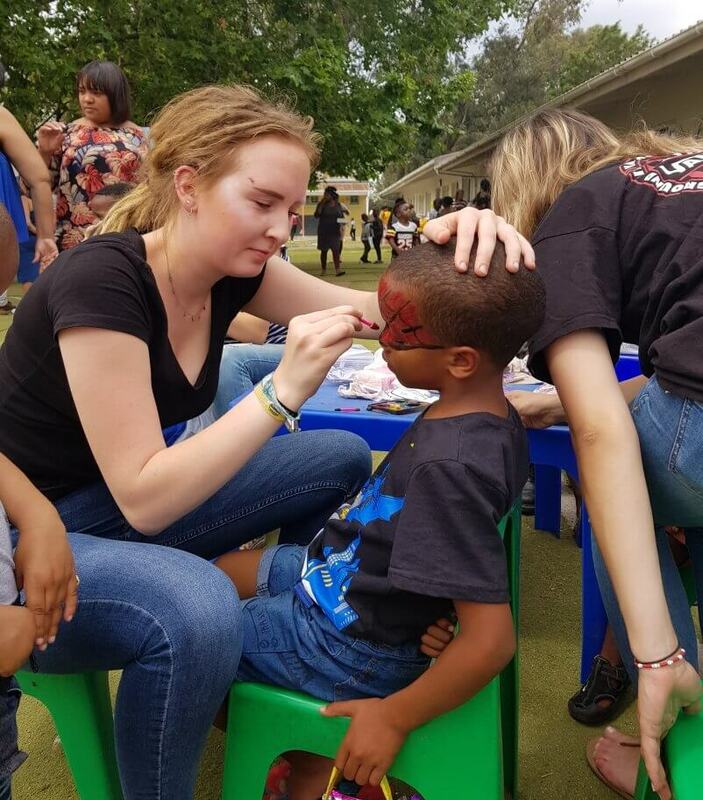 The time given by the wonderful volunteers many of whom are overseas students on gap years is so well received by the children. As you will see from the photos it doesn’t take long to have ‘armfuls’ of happy kids who absolutely love their teachers and visitors. Once a year, the centre has its annual bazaar and fund raising day. It’s the most important day in the year and takes some organising. I took the opportunity to get involved. This meant riding with Basil in the bus to surrounding farms where we stopped and loaded up with kind donations of cabbages, kale, beetroots and all other manner of fruit and veg, which is then later sold during the day. Hundreds of people come, and help is required to set up stalls, run the food stalls and just, well… just be there. Being at PCC was not just for my volunteering day. It has been my chosen charity for over a year now. I visit regularly and give my time to read stories, help the caretaker fix things around the school maybe even some gardening and all the while being shouted “ Hello Teacher Patrick!! “ I love this place, I love the happiness of it and the staff and of course the children themselves, of whom we adults could learn a few things. Simply that, love and a full belly equals smiles and happy hearts; it’s not too difficult to make a difference. 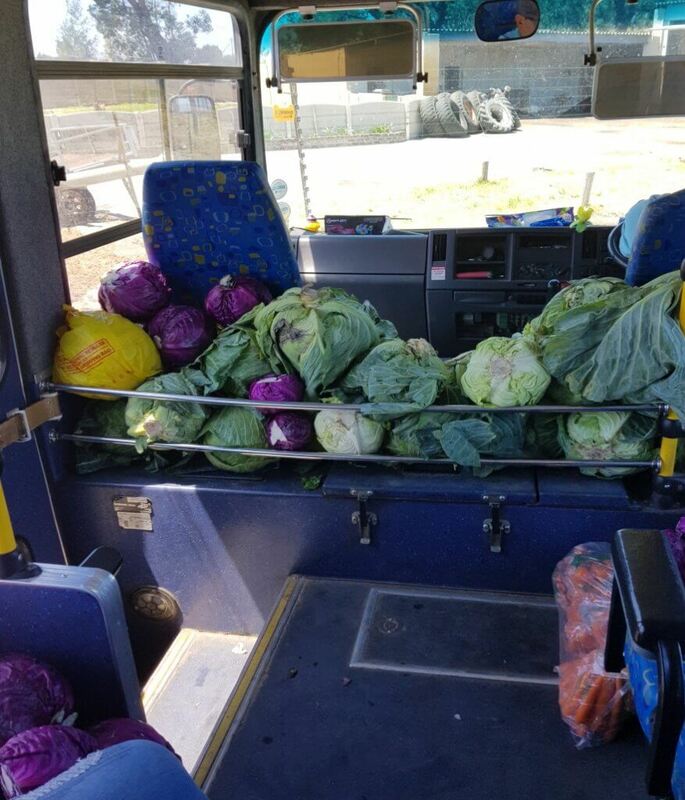 Basils’ bus getting filled with veggies…this was just the start! This wonderful lady tirelessly prepares and cooks over 1000 meals every week, and is always smiling. Some of the overseas volunteers who stay in Cape Town during their gap year to work at the centre. They adore the children and they adore them! One of my many little friends. It was a hot day…32 degrees C but no complaints, even in the sweltering cooking area. 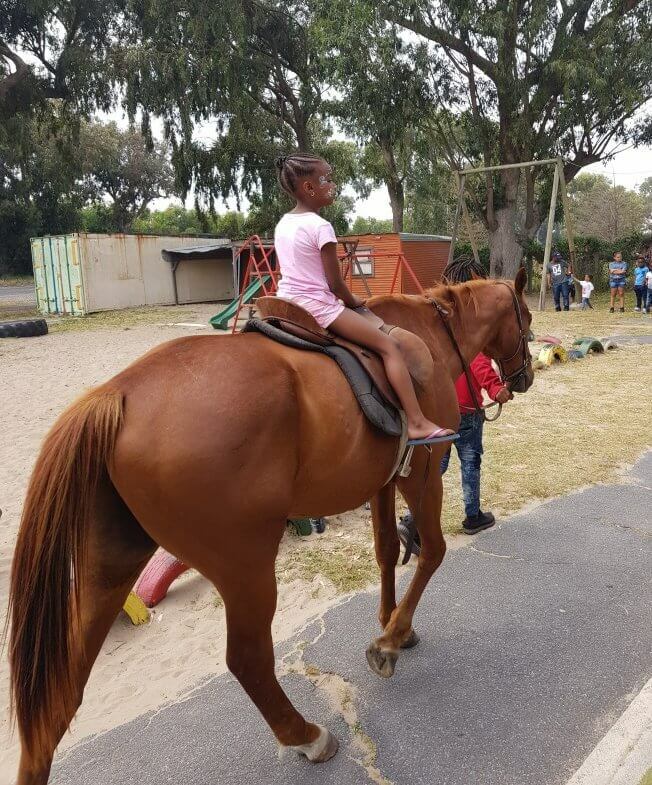 The local horse racing stable even brought an ex racehorse and a couple of stable lads to give free rides around the playground.